What are the advantages to purchasing refurbished equipment? Buying refurbished tools allows you to purchase high-quality equipment, such as rebar cutters, rebar benders and portable saws, at a substantially reduced cost. Refurbished tools can cost 20 to 30 percent less than brand new ones. Refurbished tools are generally those returned to the manufacturer from the original retail store. If the person who originally purchased a tool returns it to the store, the store may not be able to sell it as new. To unload the merchandise, the store often returns the tool to the manufacturer. Often companies come about these tools when they travel around the country, visiting trade shows and attending distributor events. They use the tools, make any needed repairs and then make them available to the public at a substantially reduced price. Why would someone get rid of a tool that works? Contractors and do-it-yourselfers often find themselves in possession of tools such as rebar cutters, rebar benders and portable saws that they don’t need. They may have purchased the wrong one, received a gift they don’t want, decided they don’t need the tool after all or opted to buy another, similar tool for reasons of personal preference. When these situations arise, the tool’s first owner often returns the tool instead of keeping something he doesn’t need. The result is that high-quality, refurbished tools are available at a substantial discount to a new buyer. What is the best way to buy refurbished tools? The best way to buy refurbished tools is to purchase them from a reputable business that inspects its products, certifies them and offers a warranty on the tools. This ensures that you don’t purchase a refurbished tool only for it to arrive in poor condition or for it to break after using it just a few times. 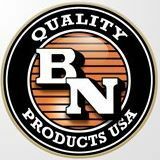 BN Products’ highly skilled tool center repair staff thoroughly checks all tools for quality and functionality before selling them. Our team makes any necessary repairs with high-quality replacement parts, if needed. All these steps are taken to make sure that the tools you receive are in excellent condition. Each refurbished tool you purchase through us comes with a 6-month warranty. Are refurbished and reconditioned the same thing? Yes. Refurbished and reconditioned both mean tools that can’t be sold as new, but are still high quality and have undergone thorough review by qualified technicians. What do refurbished tools come with? Refurbished tools come with all the paperwork, accessories and carrying cases you would expect to find with brand new tools. BN Products refurbished tools also come with our signature 6-month warranty that guarantees the refurbished tool you buy will arrive in excellent condition and stay in working order. Although some cosmetic defects may be visible, refurbished tools sold are the same high-quality ones you can buy new. Refurbished tools such as rebar cutters, rebar benders, portable saws and others perform at the same level you would expect from a new tool straight out of the box.